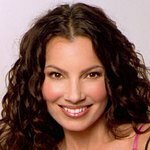 Founded by Fran Drescher, whose vision for the Cancer Schmancer Movement is to ensure all women’s cancers are diagnosed in STAGE 1, when they are most curable. To this end, the Cancer Schmancer Movement strives to make right what’s wrong with women’s healthcare through political activism and education. Google trends for "Cancer Schmancer Movement"
We don't have any videos related to Cancer Schmancer Movement.